The thesis mainly comprises of three inter-connected parts. 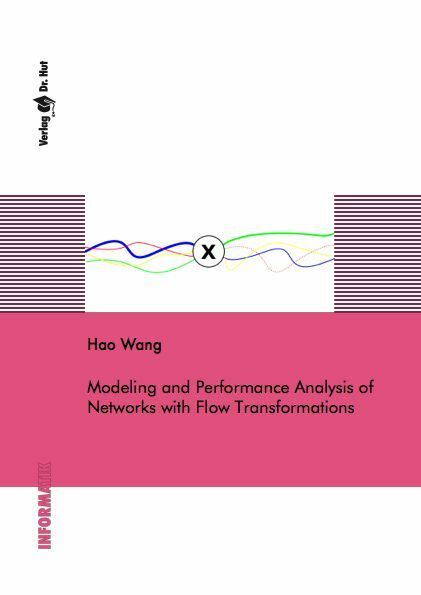 The first is to develop the so-called stochastic data scaling elements to model the flow transformation and derive the performance bounds. The main technique is, by using the instrumental equivalent systems theory, which enables transforming the service to the part that only the transformed fraction of the flow may receive, we can reorder the series of the service and scaling elements and thus guarantee a convolution-form service to the flow of interest. Accordingly, the delay bounds scale in O(n), where n is the number of nodes the flow traverses. The second is to deepen the understanding of the models with a deconstruction perspective. We investigate a very important case of flow transformation - demultiplexing, and conclude that under the FIFO scheduling assumption the stochastic scaling effect allows a conversion from demultiplexing of the flow to the virtual multiplexing of the subflows. The third is to apply the models to two very important scenarios, unreliable links with retransmissions and flows of variable length packets, in order to validate the models and widen the scope of their applications.